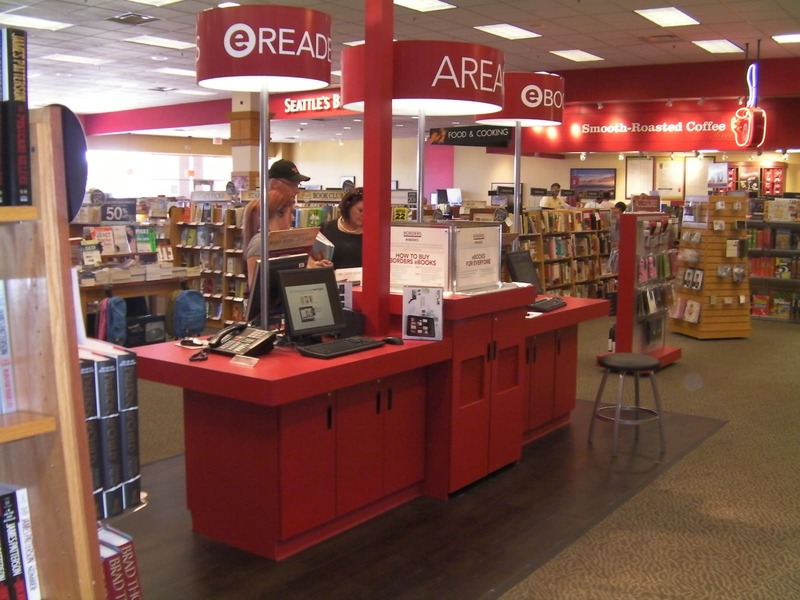 I read over on Mike Cane's blog that his local Borders had their Area-e setup, so I took a break from my errands today and stopped by the nearest Borders. There was so much FAIL that don't know where to begin. 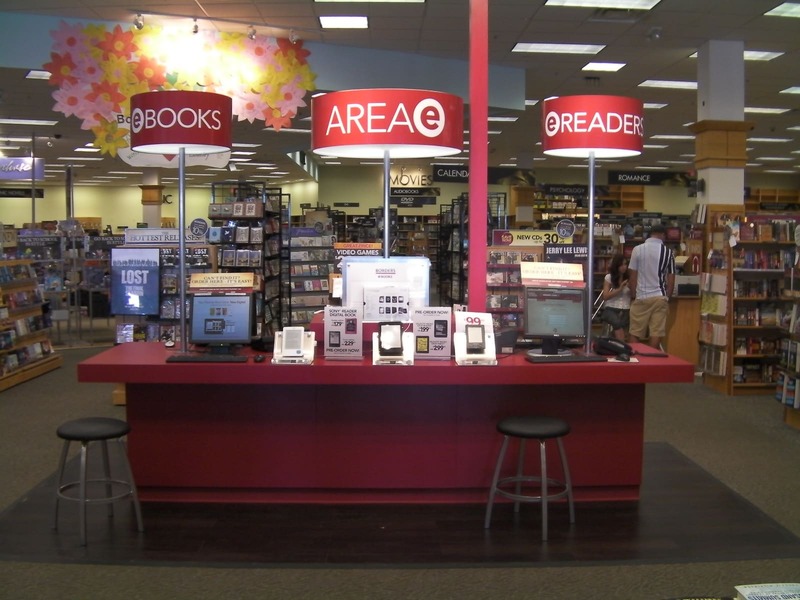 The much vaunted Area-e consisted of one fixture with 4 computer terminals and 3 ereaders on display. The first fail is that this display isn't a new addition; it replaced a virtually identical display. The old one was in dark colors, not red, but that's the only difference. It's not designed to display multiple ereaders; heck, it wasn't even doing a good job with just the 3 it had. I double checked with the press release, and Borders boasted that they would have over a dozen models. Where are they planning to put them?!? There was a Cruz Reader on display, which brings up another fail: It wasn't charged. They put their how new product on display without bothering to read the documentation. What's worse is that they didn't know why it wasn't working until I told them (it won't charge off USB). And this brings up the third fail: the so called expert didn't know anything about ereaders. In the 10 minutes I listened to her help a customer, she was _wrong_ no less than 5 times. Wow, they had the Cruz on display for you? Area E displaced the Information Desk at that Borders I went to. Apparently it’s now a standee — with no one manning it. The Sony kiosk was gone too, but I guess that’s to be expected with the new models announced. Your Borders looks as deserted as the one I was in. Gee, I sure hope the Build a Bear section is better. Sometimes it’s better to not try at all than to try and fail so badly. Too bad, I love Borders. I will miss it when it collapses.